It is estimated that 80% of the products we have at home contain a high percentage of plastic. At work, which is also our home, we live with and use products with some type of plastic such as PVC, polyethylene, PET or polyurethane among many others. Therefore, and following our path of commitment to the environment, at Eiffage Energía we have created a mini-campaign to eliminate plastic cups from all the company’s local offices. It is doing our bit to preserve the planet with small gestures. 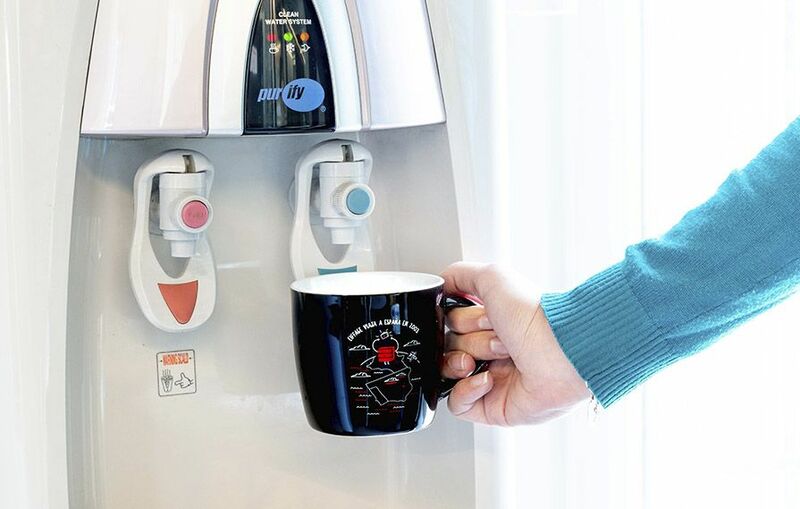 Firstly, from all national and international offices, we are withdrawing the plastic cups from all the water fountains distributed throughout the offices and in their place, we are giving each worker a ceramic mug. The new mug received by each employee is emblematic because it incorporates several motifs and illustrations of our 15th anniversary. A new way of becoming a team, don’t you think? There are many measures and proposals beginning to flourish and function in promotion of circular economy. An example would be Spain and France, who will forbid single use plastic utensils in 2020, the case of the regulations on plastic bags in Spain, or other measures promoted by the National and Regional Government in the Spanish Circular Economy Strategy 2030 for a radical reduction in the generation and production of plastic. Being used to “throw away culture”, at Eiffage Energía we estimate that, with this emblematic mug project, we will save on this daily waste of plastic and we will significantly reduce its use. Specifically, with this measure, we will stop using around 150,000 plastic cups per year. With small gestures like this we are aware that, in the long run, what is known as residual minimalism will increase, at the same time as other measures and actions put into motion for this reduction in the consumption and production of plastic. This project, which is being implemented together with our quality, environment and energy management policy, will allow us to develop other activities to continue taking actions committed to the efficient use of energy, preventing pollution or the consumption of clean energy to reduce CO2 emissions. 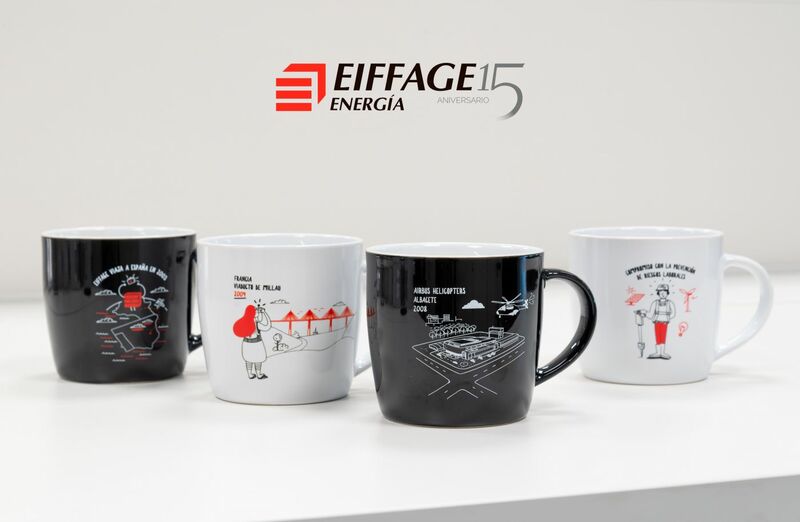 The only thing left to say is: start your day by filling your Eiffage Energía mug with water and leave it on your desk or visit your department colleague with your mug in hand. Working together every little bit counts! We only have one planet and we must look after it.